Hide deals from seller "D's House of Fashion"
Limit 1 per person and 1 per transaction. Valid on select purses priced at $59. Promotional value expires 90 days after purchase. 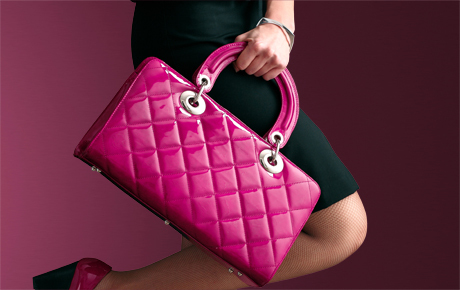 Show off your high fashion sense with this deal for 50% off purses from D's House of Fashion in Oak Forest ($59 value). These beautiful bags come in an assortment of styles and colors, so you can complete your favorite outfits. In business for five years, D's House of Fashion offers a variety of the latest women's clothing and accessories. Dorothy, owner of D's House of Fashion, began her boutique at home but expanded in order to offer customers more fashion in a convenient location. Match any outfit with a bag or clutch purse offered in a wide range of sizes, styles and colors. D's House of Fashion also stocks a variety of sterling silver jewelry, shoes and large handbags. Boutique in Oak Forest that sells fashionable clothing and accessories for women.